Most people would be skeptical of someone who refers to trash cans as “cool.” Most people would be right. But this story isn’t about trash cans. Or rather, not just about the 42 new trash cans in Astoria, Oregon. 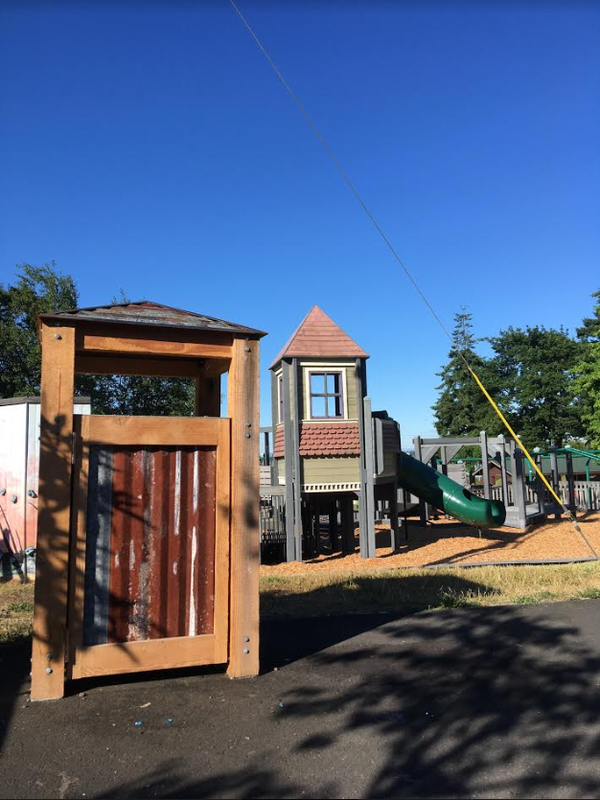 This story is about how a small parks and recreation department saved money, developed private partnerships, and worked with stakeholders to design and implement a program as effective as it is aesthetic. “This project was one of the many steps we took in trying to balance out our resources vs. requirements” said Cosby. In 2018, Astoria Parks & Recreation did some careful reevaluation of their services. As with any organization going through lean process improvement, they looked at the small tasks as well as the larger programs. The time spent on emptying garbage wasn’t the only problem, however. “One of the issues with [the previous garbage cans] was that they had a larger orifice so people could put large bags of garbage into them and overfill them” said Dart-Mclean. The construction of the cans, as well as overuse, resulted in damage and undue wear over the years. “We started looking for ways to partner with different agencies to become more efficient” said Cosby. 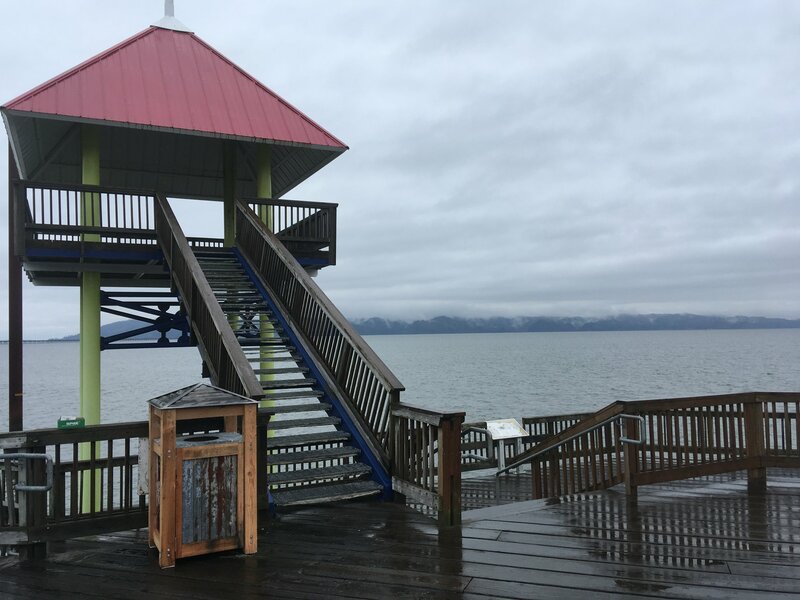 Working with city council, Astoria updated a franchise agreement with Recology, a recycling and waste removal company, to include the emptying of garbage cans in all Astoria’s city parks. Astoria residents will see an average rate increase of 50 cents, which covers the collection of all garbage in the parks – a small price to pay for beautiful green spaces. “We knew it took our staff more time than it would have taken Recology, who are already out and about with the right equipment, like a garbage truck,” said Cosby. She emphasized the reduction in risk of injury playing an important role in the decision. Some changes needed to be made to the trash cans, however. “In order for Recology to be able to collect garbage, they needed the efficiency of actually having a cart,” said Cosby. This cart would be familiar to any Astoria resident as it is the same used at home. However, while the wheels on the cart are convenient for a homeowner, it posed a problem in a park setting. In order to keep the cans in place around the park, and make sure they were used appropriately, Astoria began working on designing enclosures for the carts. The first step of this process was making sure the enclosures served well in function. Miethe provided the carts. “I worked with [Dart-Mclean] to make sure the plans would work, that the cans were the right size to fit them.” In addition to providing the cans and dimensions, Miethe was available during the design process to double check the enclosures would work for his team during collection. In addition to the functionality, Astoria Parks and Recreation was committed to making sure the design was a reflection of the city. The second step of this process could be described as a master class in stakeholder involvement. Instead of building a standard enclosure (or purchasing one from a manufacturer), Astoria took this opportunity to engage members of the community. Astoria Parks and Recreation turned to Historical Preservationist John Goodenberger to provide insight into the design process. 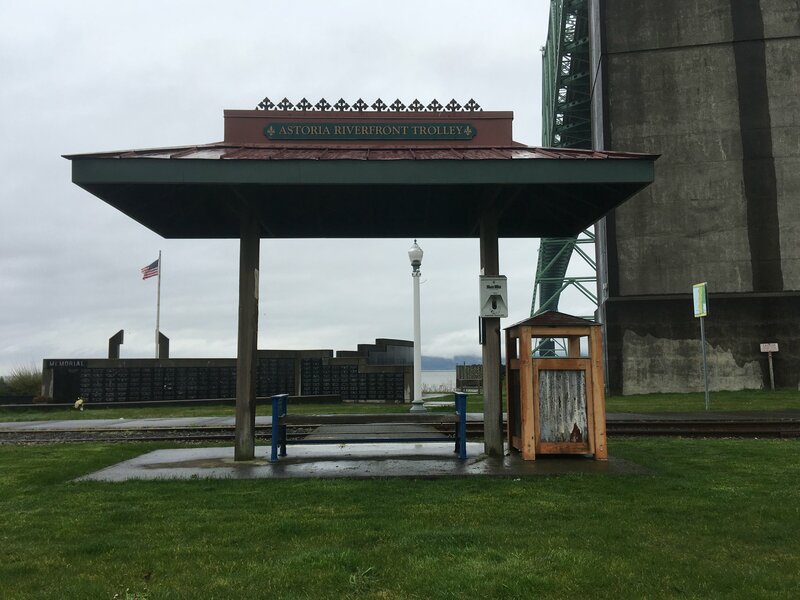 Robert Murase, a landscape architect, was most notable for his work on the Japanese American Historical Plaza in Portland, Oregon, the Garden of Remembrance in downtown Seattle, and the Astoria Waterfront Redevelopment. Murase’s design was heavily influenced by Japanese gardens and often used stone compositions and water elements. According to Goodenberger, Murase saw the natural beauty in Astoria. “He came and said, ‘Have a light touch to the waterfront, it is really something special. When you add something to the waterfront, don’t make it noticeable, don’t call attention to it – just let it blend in as you might a Japanese landscape.” Goodenberger, who also teaches at Clatsop Community College in the Historic Preservation and Restoration program, sees it as part of his job to remind citizens of Astoria of the commitment to the Murase plan. This perspective played an important role in designing the trash can enclosures. “Rather than have something nice and shiny and new, and that would be beautiful, I’m sure, we decided to do something that was more reflective of Astoria. This is a little bit harder edge, a little more industrial, and has a little bit of rust on it,” Goodenberger noted. For this look, Astoria turned to Steel and Timber, a construction and fabrication company based in Oregon. Steel and Timber worked within the area to collect recycled materials from old buildings. “All the materials that were used were locally sourced and reused. The sheet metal is from a barn in the Jewell area that was donated and cut into the roof and sides of the receptacles. All the wood is old growth Douglas Fir from a warehouse that was being demolished in town,” said Dart-Mclean. He expressed having fun working as an intermediary between design and function. More than just trash cans, this project represents both a reflection of the past and hope for the future. “We are hoping to be more sustainable throughout the years” said Cosby in reference to managing resources. “I really cannot overstate the value in not having to be responsible for emptying the garbage cans through the parks” said Dart-Mclean. The reduction in staff time for garbage collection can now be redirected toward other park projects. Astoria expects to have all trash cans deployed by the end of July. They will be placed across all their parks and along the waterfront.